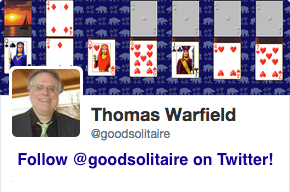 Hi, I am Thomas Warfield, inventor and player of solitaire games. I have invented hundreds of different solitaire games. I wrote Pretty Good Solitaire, a collection solitaire games you can play on Windows, Mac, or iPad. Here you will find information about my original games and the solitaire games I created, where you can download them, or play Solitaire online. Download FreeCell, Klondike, and Spider Now, and over 1000 other solitaire games for Windows 10! Do you have a question about solitaire? Ask me, I'm the Solitaire Wizard! 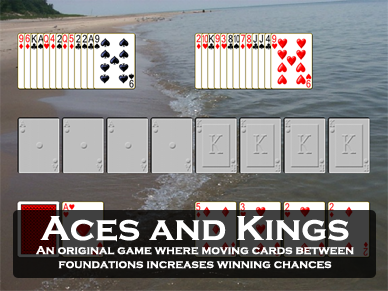 See the solitaire games that I invented, including games like Aces and Kings, Demons and Thieves, Antares, Lady Jane, and more. 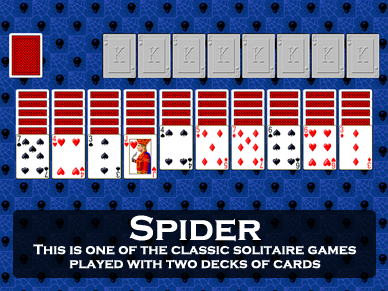 Here you can download my solitaire games, including Pretty Good Solitaire. 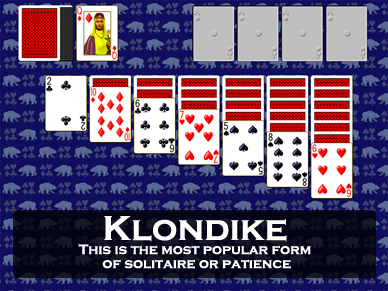 Play solitaire games such as Klondike, FreeCell, or Spider online for free. 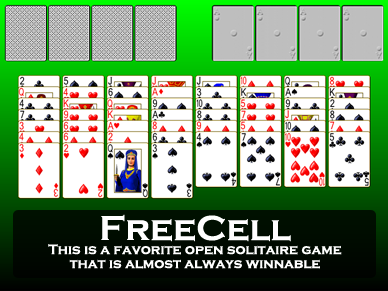 Play FreeCell, Klondike, Spider, and many more solitaire games online! See the rules for how to play solitaire games. SolitaireGames.com is copyright ©1997-2018 Goodsol Development Inc. PO Box 9155, Springfield IL 62791 USA. All Rights Reserved.